Scottsdale has long been considered a desirable place to live. It is consistently ranked as one of the best spots in the nation to raise a family, retire, or own a second home. With picture-perfect weather and no shortage of activities, millennials, seniors, and everyone in-between can benefit from all this coveted city has to offer. 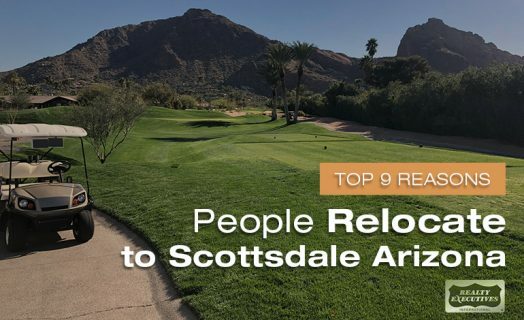 Although it is tough to narrow down, here are nine of the top reasons people relocate to Scottsdale, Arizona. If you like cold, gloomy places, Scottsdale is not for you. With abundant sunshine, mild temperatures, and a dry climate, the inviting weather in Scottsdale lends itself to just about anything you want to do (except shovel snow). Although it can reach 100+ degrees in the summer, the dry heat is much different than the uncomfortable high humidity that you would experience in other parts of the country. Even in the winter months (December – mid February) the average high is 68 degrees, making for mild temps during the day and clear, brisk nights in the lower 40s. Scottsdale is home to many amazing annual events that draw in residents and tourists alike. Car buffs will be on cloud nine at the Barrett-Jackson Collector Car Auction—considered the best in the world by many—which takes place every January at Westworld of Scottsdale. The Waste Management Phoenix Open, aptly referred to as “The Greatest Show on Grass,” is a standout among tournaments on the PGA tour. With the Bird’s Nest music festival and the famed party-like “16th Hole,” the event attracts golf enthusiasts as well as those looking to have a good time. Horse lovers won’t want to miss the annual Scottsdale Arabian Horse Show, which takes place every February. Art and cultural events happen all year long, providing residents and visitors with unique and enriching experiences. If you are a golfer, you are likely already aware that Scottsdale is well known for its amazing golf courses, including the Grayhawk Golf Club, Camelback Golf Club, The Boulders Golf Club, and numerous others. No matter what your skill level or budget, you can find the perfect courses to golf on all year long. There are even several luxury golf communities in North Scottsdale that offer unlimited access to golfing, minus the commute! 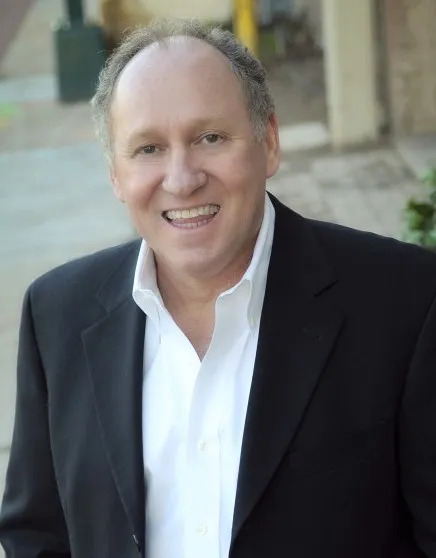 If you have any questions about Scottsdale golf communities, get in touch with Thomas Osterman—an experienced Scottsdale realtor who knows Scottsdale’s golf communities inside and out. If you are a sports lover, Scottsdale has no shortage of professional sports teams to cheer on. Scottdale is home to Cactus League Spring Training, where you can see several Major League Baseball teams, including the Arizona Diamondbacks, warm up for the season. You can watch the minor league Scottsdale Scorpions during the Arizona Fall League. Football fans love to visit nearby Phoenix for the Cheez-It Bowl in December and to cheer on the Arizona Cardinals NFL team or any number of college teams. Basketball fans will enjoy coming out to see the Phoenix Suns (NBA) and the Phoenix Mercury (WNBA). The Glendale-based Arizona Coyotes delight hockey fans at the Gila River Arena. Phoenix Rising, a professional soccer team located in Phoenix, keeps soccer fans cheering. Residents of all ages can enjoy the outdoors year-round. Rated as one of the top urban “green spaces” in Arizona, the Scottsdale Greenbelt meanders eleven miles through the heart of Scottsdale and is home to a series of lakes, parks, and golf courses for residents and visitors to enjoy. You can also walk, run, or cycle through the city’s forty-five miles of paved paths and 115 miles of non-paved trails. If you are looking for more organized activity, The 71-acre, state-of-the-art Scottsdale Sports Complex accommodates several sports that attract players on the regional and national level, including lacrosse, rugby, soccer, and football. For those who love water, beautiful Bartlett Lake is close by for swimming, fishing, boating, and more. Here is a list of the ten best lakes in the area for variety. If you love hitting the ski slopes, you won’t miss out. Really. There are ski resorts within two hours of Scottsdale. Here’s a list of Arizona ski resorts you’ll want to check out to channel your inner snow bunny. When compared to many other states, especially those on coasts, the cost of living in Arizona is comparatively lower. Arizonans enjoy lower-than-average state income tax and property taxes, helping money stretch further when it comes to buying property. Check out this handy tool to see how your current cost of living would compare to living in Scottsdale. 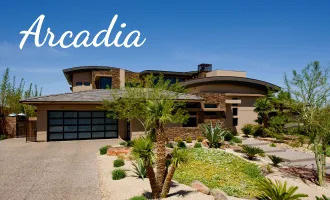 To learn more about Scottsdale real estate, contact an experienced Scottsdale real estate agent with intimate knowledge of the local market and vast experience helping home buyers find their dream homes. 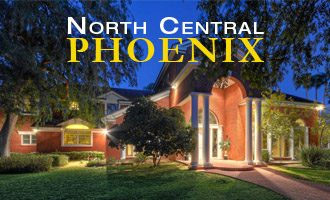 Scottsdale is a great location, no matter what your lifestyle. With close proximity to major highways, it is an easy commute to work, shopping, or anything else you need access to. If you want to get away, you are only about fifteen minutes from the Sky Harbor International Airport, which has been ranked as one of the top airports in the country. If driving is your preference, you can hop in the car and get to the ocean in six hours, or drive a couple hours north to do some snow skiing. Scottsdale’s convenient location provides ample opportunity for weekend getaways—that is, if you want to leave! Scottsdale’s downtown has grown exponentially, providing a vibrant atmosphere for residents to live, work, and play in. With a growing tech sector, Scottsdale has become a viable, more budget-friendly alternative to Silicone Valley, which is attracting major companies and professionals alike. New condos and other urban housing options, amazing shopping areas like the posh Scottsdale Fashion Square, an exciting nightlife, over 790 restaurants, and abundant arts and cultural attractions make Scottsdale nearly irresistible. Foodies, art lovers, and those looking for a great day or night out rave about Old Town Scottsdale, which is highly regarded as the finest urban center Arizona has to offer. Yes, it is true that Scottsdale is known as a great city for retirees, but there are many younger residents raising families in the area. With some of the highest rankings in the state, the schools are top notch—even the area’s charter and magnet schools. In fact, BASIS Scottsdale has been ranked by U.S. News and World Report as one of the top high schools in the country. For teens entering college, there are many great higher education options to choose from, including nearby Scottsdale Community College and Arizona State University, as well as the University of Arizona, Grand Canyon University, and Northern Arizona University. Families will find no shortage of recreational activities, accredited sports leagues, arts, cultural opportunities, and family-friendly entertainment. The picture-perfect weather lends itself well to outdoor activities, which is perfect for those seeking an active lifestyle. 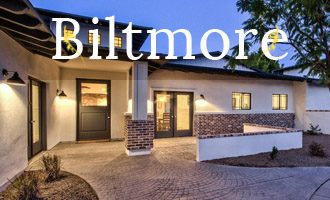 If you are interested in relocating to beautiful Scottsdale, you will want to find a real estate professional with a wealth of knowledge about Scottsdale’s most sought-after neighborhoods and which properties might best fit your unique preferences. 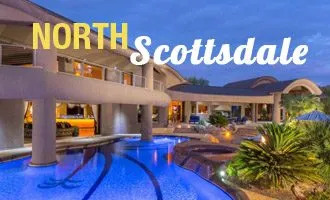 Realtor Thomas Osterman has a superior knowledge of the Scottsdale housing market and the expertise to help you negotiate the best sale price on the luxury home of your dreams. Contact him today to learn more. 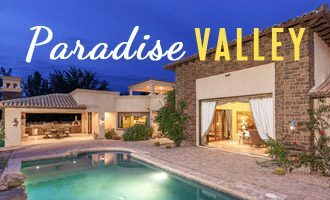 If you’re considering relocating to Scottsdale, it is important to find a Real Estate Agent you can trust. 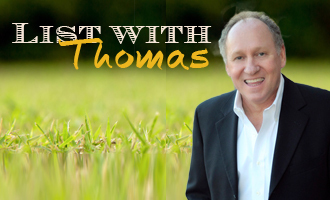 Thomas Osterman, a top Real Estate Agent in Scottsdale has over fifteen years of experience assisting clients with their Scottsdale home buying and selling needs. Give him a call today at (602) 466-1846.